A well-designed stool has become an integral part of every kitchen, not only because it creates a comfy seating space, but it also allows your family and friends to join you in the kitchen and keep you company while you’re preparing delicious meals. Kitchen stools can add function and elegance to the space, all while enhancing the beauty of your interior design, when chosen right that is. 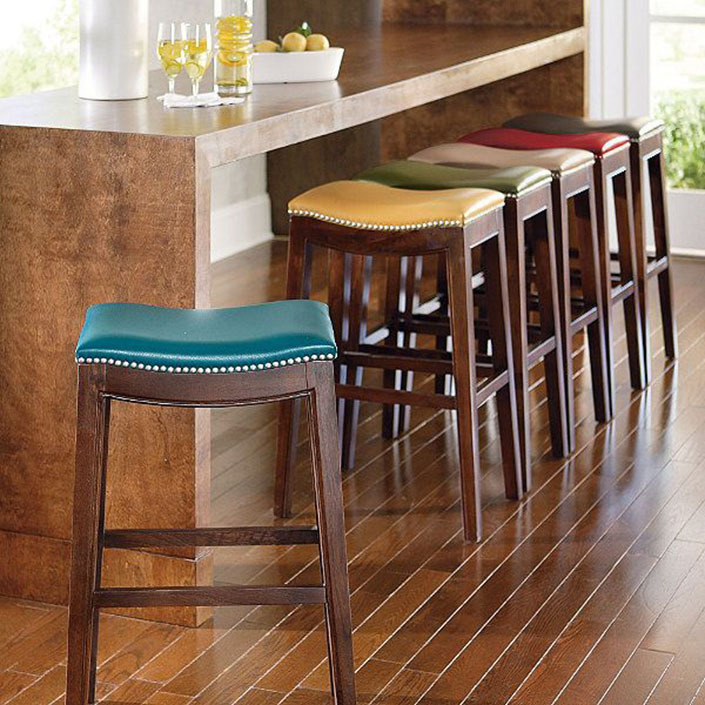 Style, height, comfort and material are all things you should keep in mind when on the look for the perfect stool. In terms of style, kitchen stools can be divided into two main categories: bar and counter stools. While these two models of stools might appear the same at a first glance, they have some essential differences in their design and function. Knowing the different features between these two can help you decide which one will work best for the specific layout and size of your kitchen. Before you make a choice between the two, you first need to measure your bar space and decide how many stools you need for creating a comfortable and functional seating area. When taking measurements, make sure you leave enough space (around 25 to 30 centimetres) between the seat and the counter top, so your guests can have plenty of room to sit comfortably. The most noticeable difference between the two stool styles is their height, since the bar stools online and offline stores have on offer are usually taller than a standard counter stool. Tables and bars that are between 100 and 110 centimetres tall fall in the category of “bar height” furniture pieces and therefore would work best with bar stools. These stools are tall enough to prevent you from slouching in discomfort and at the same time, they leave plenty of space underneath for your legs and knees. Counters and tables that are around 90 centimetres high naturally require shorter seats in the form of counter stools. Compared to a 70-75 centimetres high bar stool, these are shorter and their height ranges between 55 to 66 centimetres. In addition to choosing the right stool style and height, you’ll also need to get one that is comfortable and compliments your design scheme. Practical and stylish at the same time, the bar stools online and offline shops have on offer are designed to provide enhanced comfort and are available in a wide range of colours and finishes, so you can certainly find something that would further enhance the look and feel of your kitchen. Counter stools also come in a variety of colours and materials, from wooden models in soft, natural colours to metal ones in more vibrant hues.